February 15, 2017 – Grand Junction-based tech startup SynaptixGames has partnered with DeepMarkit from Calgary in Alberta, Canada to develop a 3-D short-form, casual game for a new patent-pending gamification platform (scroll down for the press release). This marks a significant step toward Colorado’s Grand Valley becoming a bona fide tech hub. GJEP met with DeepMarkit earlier this month, when the company came to Grand Junction to visit with SynaptixGames and ProStar Geocorp to talk about future partnerships and setting up U.S. headquarters in the Grand Valley. Another Canada-based tech corporation, Nexoptic, joined the meeting as well. During the visit, DeepMarkit EVP, Ranjeet Sundher, told GJEP and local media that he was very impressed by the workforce in the Grand Valley. He saw synergies with his home market in Calgary, where DeepMarkit was able to take advantage of a declining energy market to secure tech-savvy talent for his growing business. See what Mr. Sundher from DeepMarkit and Paul McKenzie, CEO Nexoptic, had to say about their Grand Junction visit to Newschannel 5 here, or read the article in The Daily Sentinel. 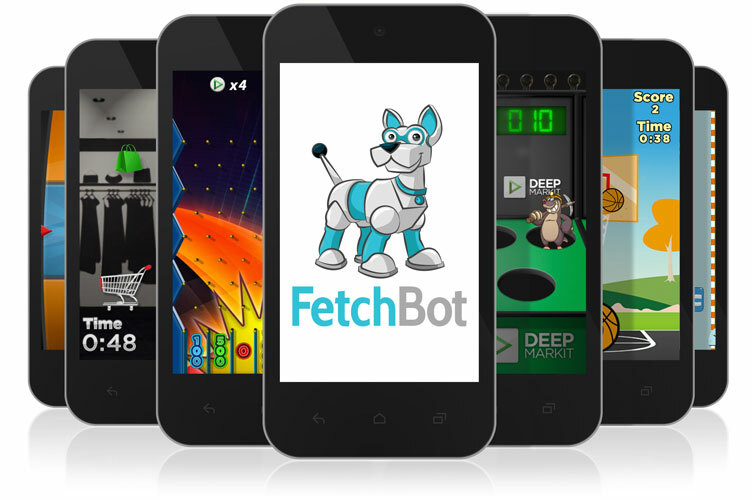 “Bringing 3-D games to the FetchBot platform is the next step in [DeepMarkit’s] drive to bring the best player experience to social, casual gaming. SynaptixGames and DeepMarkit are collaborating on the first game type to be developed by SynapticxGames. The 3-D experience will be integrated within the FetchBot platform for social and promotional games. The DeepMarkit SynaptixGames collaboration will deliver 3-D experiences within almost any messaging channel for immediate player satisfaction on smart phones, tablets and desktops without the need to install anything. Learn about opportunities in the tech market in Colorado’s Grand Valley here.